YOUR 1ST MONTH IS ONLY $1.00! 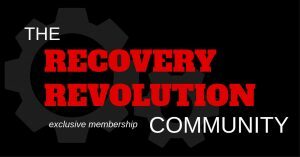 What is the RRC – RECOVERY REVOLUTION COMMUNITY? The RRC provides peer to peer recovery support that will enhance your journey in recovery. We meet you where you are at in your journey and then walk next to you as your recovery guide. Our combined experience in battling addiction and customizing our own recovery pathway allows us to provide our members with the much needed resources to successfully navigate through their own journey of recovery. How do you attend and participate in the RECOVERY REVOLUTION meetings? All meetings are attended online using a video platform called ZOOM. This video platform allows you to engage with the group and participate the same as if you were all in person the only difference is you can’t shake hands after the meeting or get a bug hug. TRY the RRC for only $1.00 the first month and then it’s only $12 a month after that!! What comes with my $12 monthly contribution? Weekly Online Meetings and Webinars that are available in multiple time zones. A variety of meetings that offer multiple pathways of recovery. Recorded meetings. The majority of all meetings are recorded for viewing at a later time so if you miss a meeting or want to replay a meeting you attended you can access those meetings from our video library at any time. A community of like minded individuals that will support you in customizing the recovery pathways that works best for you. Who was RRC built for? People who do not have transportation to get to local meetings. People who’s local meetings are too far. People who don’t like the local meetings available to them. People who don’t feel comfortable at in person meetings. People who want to have FUN in Recovery! As the membership community grows so will the amount of workshops, special guest appearances, and available meetings without a change in price. The more members there are the more value will be added to the platform. Impromptu meetings that can be made available when a member needs special support. Structured 12 Step Meetings such as AA or NA. Part of your membership fee will go towards contributing to that fellowship if attended. Bonus items are subject to change at any time based on membership participation and chair availability. Here are some of the questions that have been asked by some of our members prior to joining. Why are you charging for Recovery? We are not charging for recovery; we are charging for exclusive membership to a secret Facebook group. 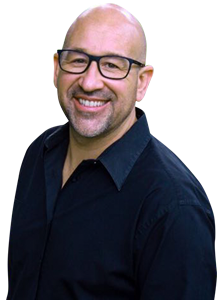 This secret group will host a wide variety of live video hangouts or meetings that will focus on the topic of recovery in one form or another. The fees are for production costs, software hosting fees, workshops (Y12SR meetings are paid workshops) administration fees, and any other fees associated with production and management of the SHAIR Recovery platform. I don’t think this should take the place of 12 step meetings? Why is there a charge to be a part of this community? 12 step fellowships are free! SHAIR is not affiliated with any 12 step programs. We are creating a platform that is taking a new approach to recovery. Creating a unified platform that takes bits and pieces of already establish recovery platforms and allows you to customize the pathway that works best for you. When one stops drinking alcohol and/or using drugs, one saves $100s even $1000s per month. For a mere $12 per month, you can add several different platforms to your recovery. This is still likely a savings for transportation to meetings, any voluntary donations to a group, etc if you went to as many meetings per month as we offer. You are paying for an Online Recovery Platform (Software, Online Support, Administration) that offers a wide range of recovery options. Multiple recovery pathways that will allow you to select and customize the pathway that works for you. You are paying for the service we provide to our members. Virtual online recovery-based webinars and meetings every week, online support from the community leaders and contributing members. There are individuals that simply cannot make local meetings in their area, there are those that would like to attend meetings that offer different pathways, options, modalities, formats, etc. and those meetings are not available in their area. There are those members that have lost interest in the local meetings they currently attend and are seeking to make regular meeting attendance and support elsewhere. We record almost all of the meetings so if you are unable to attend at the time of the meeting you can watch the recorded meeting at another time. You can also watch any of the recorded meetings after the fact; they will always be available in the video library. What is the difference between my local meetings and online meetings? The difference is you will not be able to hold hands, shake hands or get a hug. However, because of the technology we have available to us these days you can see all the members, be face to face, talk, share, engage, develop friendships and contribute just like you would in an in-person meeting. The other difference is that you can pick and choose from a variety of different recovery pathways which may not be available in your local recovery community. In many cases, you only have one or two local recovery options to choose from and if you miss the meeting that week you miss out on what was said. With your SHAIR Recovery membership, you can watch the meetings over again as many times as you would like. What if I change my mind? Can I cancel? Can I get a refund? You can cancel at any time. We only charge month to month. We use PayPal as our payment solution and you can go into your dashboard at any time to cancel. Or feel free to email info@theshairpodcast.com to cancel. Please let us know why you have decided to cancel so we can make improvements if need be. You can cancel at any time. We charge month to month. We use PayPal as our payment solution, and you can go into your dashboard at any time to cancel. Please let us know why you have decided to cancel so we can make improvements if need be. Email us at info@theshairpodcast.com to let us know. If you are not satisfied with the service, you can cancel within the first 30 days for a complete refund. After the 30 day trial you can cancel at any time but no refunds will be applied.